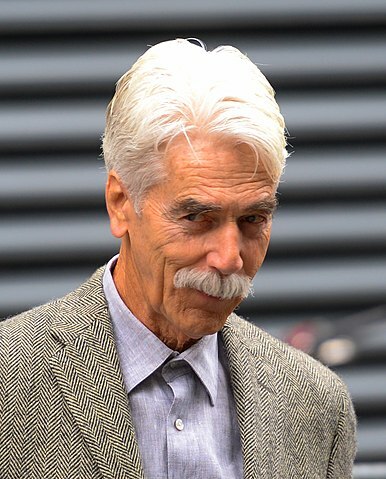 Sam Elliott was born in Sacramento, California, United States, on August 9, 1944, is an American actor. Young Sam Elliott began his acting career on stage in a musical Guys and Dolls. He made his big screen debut in western film The Way West (1967) in uncredited role as Missouri Townsman. Sam's breakthrough performance came as Rick Carlson in drama film Lifeguard (1976). He was nominated for the Golden Globe Award for his role as Conn Conagher in Western film Conagher (1991). He received an nomination tor the Emmy Award for Outstanding Supporting Actor and for the Golden Globe Award for his role as Wild Bill Hickok in miniseries Buffalo Girls (1995). He won a National Board of Review Award for Best Supporting Actor and he was nominated for a Critics' Choice Award and a Screen Actors Guild Award for his role as Bobby Maine in musical romantic drama film A Star Is Born (2018). He portrayed Capt. Bucky O'Neill in television miniseries Rough Riders (1997) opposite Tom Berenger. He's playing Beau Bennett in web television series The Ranch, since 2016. He married actress Katharine Ross in 1984, they have a daughter. He voiced Butch in film The Good Dinosaur (2015). He played Dr. Doug Robert in television series Mission: Impossible (1970–1971). He won Critics' Choice Television Award for Best Guest Performer in a Drama Series for his role as Avery Markham in crime drama television series Justified (2015). Lives on a seaside ranch in Malibu. I've spent my entire career on horseback or on a motorcycle. It boxes you in, the way people perceive you. I read a lot of scripts. Most of 'em go to other actors. I love the fact that I'm having an opportunity to make people laugh and you actually get to hear it. Making movies is never going to get better than working on a Coen brothers project.